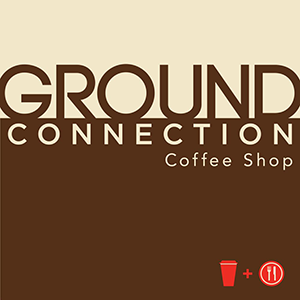 Ground Connection is a modern-day coffee shop. We serve a unique combination of small-batch coffee and espresso drinks, as well as full leaf and herbal teas, homemade lemonades, cold brew coffees and teas on tap. We emphasize daily fresh ingredients that are cooked from scratch and always delicious. Our menu features a fantastic line of chef-driven sandwiches, salads, flatbread pizzas, baked goods, pastries and more.